To buy By His Own Blood, click here. "Daddy's got AIDS". Those three words in a phone call from my brother devastated me. It was the worst news I could have ever imagined. Not Daddy. Not that loving 81 year old retired man out there on the farm. "Doc" Montandon, a man of great character and the best man I have ever known, died from tainted HIV blood. In very good health, Doc was subjected to unnecessary exploratory surgery and was transfused with bad blood. To make matters worse, the incident was covered up and the gentle Texas farmer was not apprised of his condition. After he began suffering from the symptoms of AIDS, my father was refused admittance and help from the same community hospital where the evil deed was perpetrated. Discuss, collaborate, and contribute your own review, thoughts, and experiences along with other By His Own Blood fans. Blog, check out the calendar of events, and share photos with BHOB Author, John Montandon. The story of growing up on a small Texas farm, an unnecessary death, coming to terms with prejudices, and life lessons learned through the character of a loving father have hit a nerve with By His Own Blood reviewers. A great personal read or perfect gift, order your copy of the printed book, iBook, or Kindle ebook of John Montandon's By His Own Blood today using our safe and secure eStore by CreateSpace, an Amazon.com company. 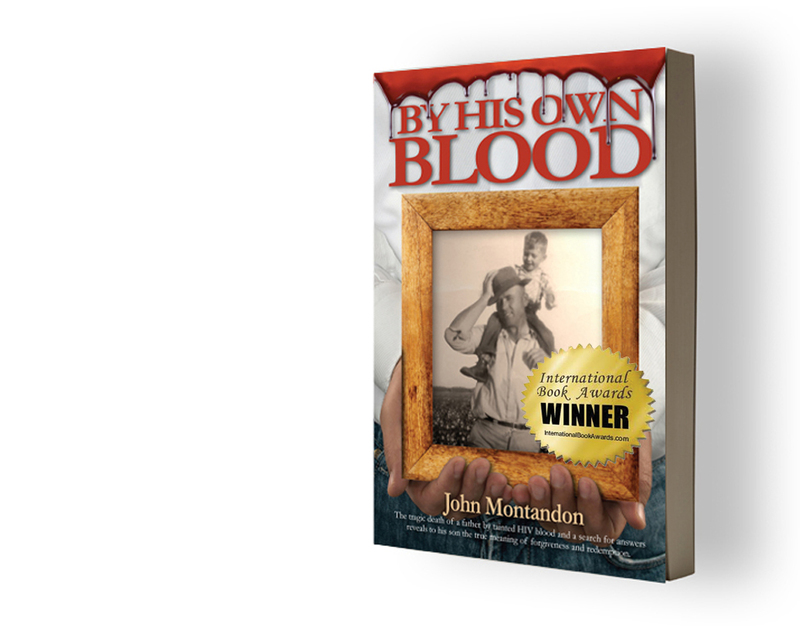 Check out the latest news and views of the riveting new book, By His Own Blood, by John Montandon. Based on a true story of a father's untimely death and his legacy of character that helped his son and family persevere. Sample the book click here. © 2014 By His Own Blood. Amazon.com™, the Amazon.com logo, Kindle™ and CreateSpace™ are trademarks, registered trademarks or trade dress of Amazon in the U.S. and/or other countries. Kindle Fire™ is a registered trademark of Seesaw, LLC.